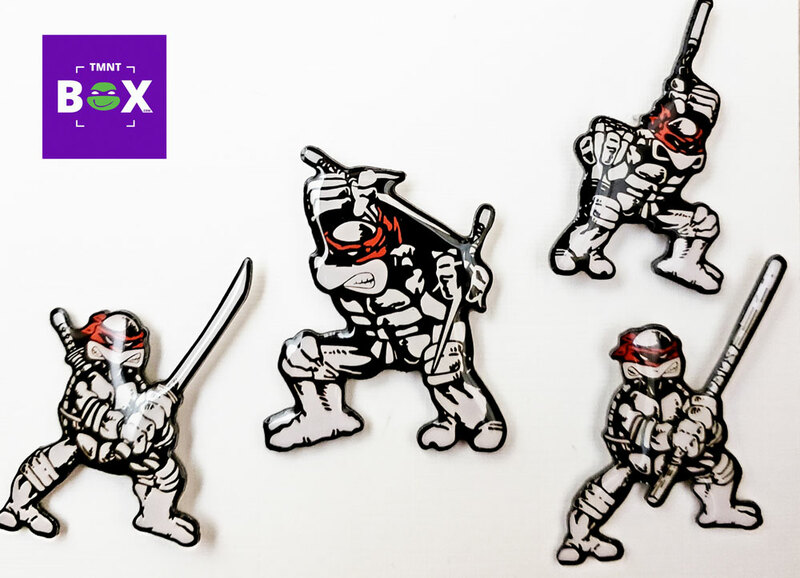 **FREE SHIPPING** Teenage Mutant Ninja Turtle Original Comic Themed Pins. The original Teenage Mutant Ninja Turtles comic books depicted our favorite turtles in mostly black and white, with the exception of colored cover pages which depicted the turtles wearing matching red face masks. It was later that our favorite half-shell heroes were given their signature colored eye masks in order to deemphasize their weapons being used to identify the individual turtle.